The Pill Cutter / Pillbox is such a unique medical product that your recipients will be that much more curious! 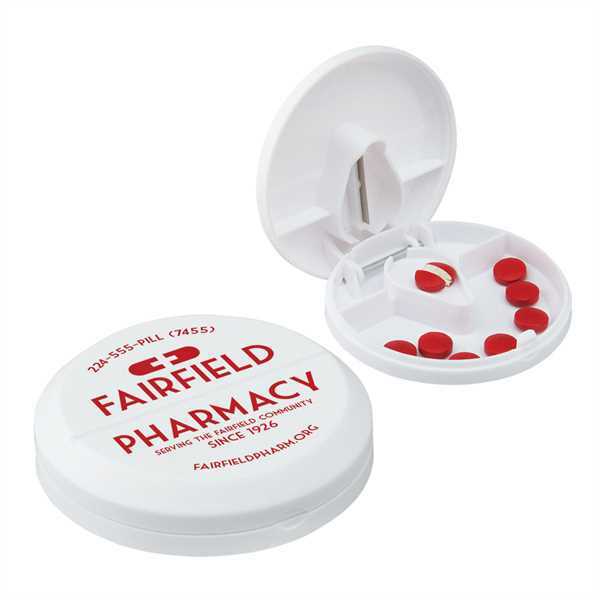 To cut the pill, just place it in the box and close the lid. Have your name or logo printed and hand this out at your next fundraiser or marketing event. Ideal for doctor's offices, pharmacies and businesses in the medical field to get your name out there. No more struggling with knives. Just place, cut and swallow!